Adorable Easter dog collar! 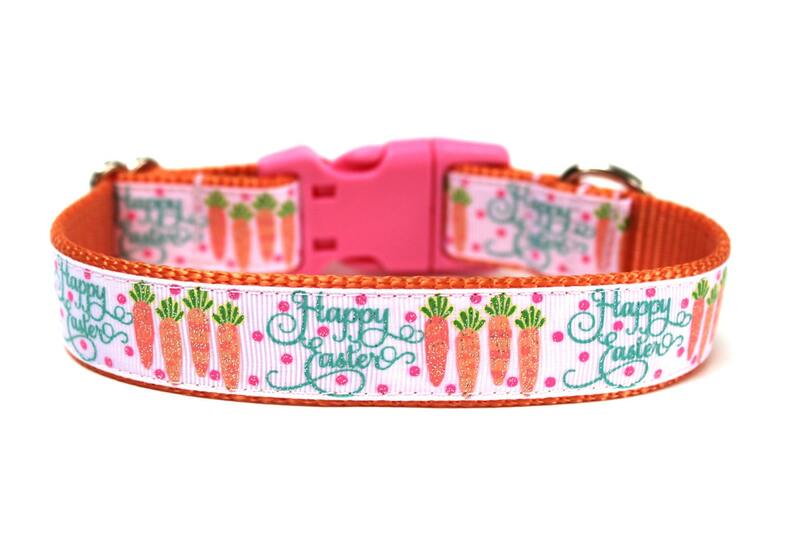 This Easter dog collar is made with sherbet orange nylon webbing, a matching hot pink buckle, a white background with "Happy Easter", carrots, and pink dots all over! Perfect for spring! Matching flower add-ons for this Easter dog collar are not included but is available for purchase in my shop!